You can use tenpower anywhere. There’s no right place to use tenpower. Some people use tenpower to get started. Some use tenpower for fitness, practising skills and doing repetitions. You can use tenpower to solve problems, to create opportunities. Who else can use tenpower? Writers can use tenpower to escape writer’s block. I use tenpower in teaching thinking skills. Business people use tenpower to plan ahead. Students use tenpower to do their research. Parents use tenpower to help in family discussions. Where can you use tenpower? Putting-on a zero is a powerful thing to do. It is the quintessential provocation. It’s purpose is to provoke movement through the cognos, the universe of possible thoughts. It allows you to escape from your present position. It’s a bit like using a helicopter. If you wanted to climb a mountain you might start from the bottom but then when you reach the summit you say Boy, if only we’d come that way it would have been easier. This is because the view from the top is different from the view at the bottom. If you had a helicopter you could fly to the top first, see the better way, and then go back and use it. Tenpower helps you make quantum leaps in your thinking. It empowers you to escape from inside the square. It enables you to use orders of magnitude to change your point-of-view. Then you can use that information if you choose. When put on the end of a number, there’s no limit to the power of a zero! How many grains of sand on Sydney’s famous Bondi beach? How many raindrops fall in Rio each year? What is the number of words spoken in Australia or in Beijing in a year, or even spoken by every Chinese and Australian in history? To cope with questions like these mathematicians need to design very, very large numbers. The American mathematician, Edward Krasner, has used the zero to design his very large number called: the googol. 10,000 000 000 000 000 000 000 000 000 000 000 000 000 000 000 000 000 000 000 000 000 000 000 000 000 000 000 000 000 000 000 000 000. How large is a googol? Well, the grains of sand on Bondi beach are about 100,000,000,000,000,000,000 – 1 with twenty zeroes put-on. Much smaller than a googol. Raindrops in Rio are also much smaller than a googol and so are the words of China. 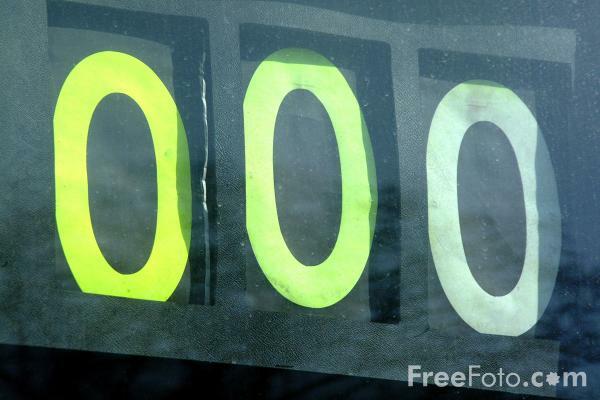 A hundred million atoms placed in a row would only be this long _____ , a centimetre. So what about the number of atoms in all of Mt Fuji or even the Alps? No, even they would not make a googol. Einstein’s theories make it possible for astrophysicists to estimate the number of atoms in the whole universe and even that is less than a googol. In fact, a googol is larger than the very largest numbers used in physics and chemistry. When Larry Page and Sergey Brin started their famous search engine they wanted to name it after Krasner’s big number but they misspelt it and called it Google instead! Well, can a we provoke a googol? Can we use tenpower on a googol? And the answer is, of course, yes. For example, the googolplex is a larger number still: a googol with an extra ten million, billion zeroes put-on. Forgive me if I won’t bother to show you what a googolplex looks like because if I were to try typing out a googolplex by adding zeroes to the above googol at the rate of three zeroes a second – 000 – and I never stopped to eat or sleep or do anything else, I would be dead and dust long before I got anywhere near it. 3. I can text someone who would like to hear from me in ten minutes time. 4. I can consult ten thought-leaders for their opinion on a matter of importance to me. 5. I can watch ten TED talks that I don’t usually watch. 6. I can invite ten people over for a discussion on a matter of importance to all concerned. 7. I can practise a new skill 10 times a day for the next ten days. 8 I can go for a walk in the Royal Melbourne Botanic Gardens at 10am. 9. I can cut costs by 10%. 10. I can spend ten minutes figuring out the first line of the next lesson. What are 10 ways you can use the number 10 today? 2. Get up 10 minutes earlier. 3. Review 10 more documents each day. 4. Talk to 10 of my staff today. 5. Take 10 minutes of “me time” during the working day. 7. Take 10 deep breaths every hour. 8. Attend 10 meetings this week. 9. Raise 10 project action plans. 10. Review 10 in progress actions. 1.Sit for 10 minutes, quiet time waiting for friends. 2.Walk the dog for an extra 10 minutes. 3.Give 10 minutes extra time to my patients. 4.Donate 10 items in my wardrobe I don’t need anymore. 5.Leave for work 10 minutes earlier. 6.Finish off the last unit of my Dementia Course in the next 10 days. 7. Try the latest 10 Paleo recipes. 8. Invite 10 friends over for a fund raising Charades night. 9. Go for a 10 minute ride on my bike. 10. Travel to 10 new countries overseas.